The 23-year-old "Game of Thrones" actress and her co-star Maisie Williams teased the show's eighth and final season in a joint interview in the April issue of Rolling Stone. 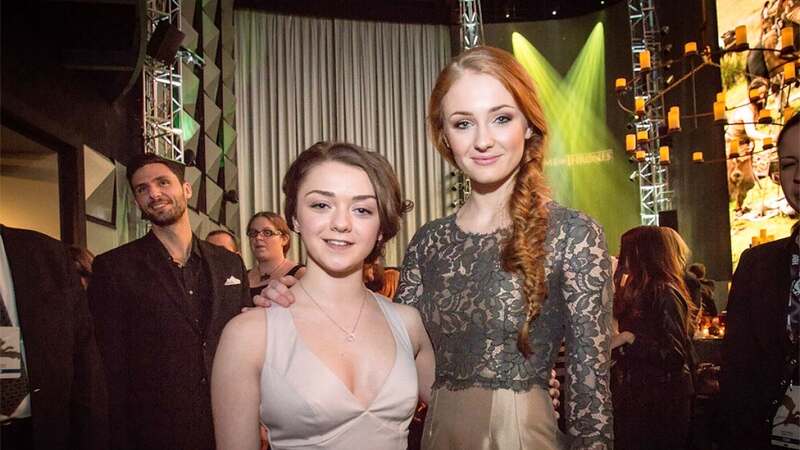 Turner and Williams play sisters Sansa and Arya Stark in "Game of Thrones." Turner said fans should expect closure for the siblings and other characters in the show. Co-showrunners David Benioff and David B. Weiss also spoke to Rolling Stone. The producers voiced their admiration for the "Breaking Bad" and "The Sopranos" finales. "'Breaking Bad' stuck the landing. We always talk about 'The Sopranos' ending -- as controversial as it may have been at the time, it's hard to imagine a better ending for that show, or any show," the pair said. Season 8 opens with Sansa, Arya and their brother Bran (Isaac Hempstead-Wright) reunited at Winterfell. In addition, Jon Snow (Kit Harington), who was raised as their half-brother, is making his way to the castle with Daenerys Targaryen (Emilia Clarke). "Game of Thrones" Season 8 premieres April 14 on HBO. The show released a first trailer this month featuring Sansa, Arya, Bran, Jon, Dany, Cersei Lannister (Lena Headey) and other characters.